John Aaron Lewis (3 May 1920 ? 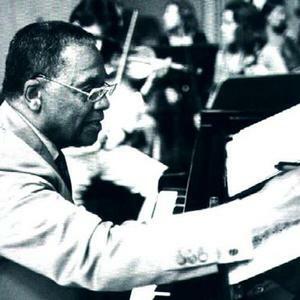 29 March 2001) was an American jazz pianist and composer best known as the musical director of the Modern Jazz Quartet. Born in LaGrange, Illinois and raised in Albuquerque, NM, he learned classical music and piano from his mother. He served in the Army in World War II, where he met Kenny Clarke. After the war, they moved to New York City and he joined Dizzy Gillespie's band. He also performed or recorded with Charlie Parker, Dizzy Gillespie, Illinois Jacquet, Miles Davis, and Lester Young. Born in LaGrange, Illinois and raised in Albuquerque, NM, he learned classical music and piano from his mother. He served in the Army in World War II, where he met Kenny Clarke. After the war, they moved to New York City and he joined Dizzy Gillespie's band. He also performed or recorded with Charlie Parker, Dizzy Gillespie, Illinois Jacquet, Miles Davis, and Lester Young. In 1951, Lewis, Milt Jackson, Clarke, and Ray Brown formed the Milt Jackson Quartet. Percy Heath replaced Brown on bass, and the Modern Jazz Quartet was born. Lewis was its musical director and pianist until it disbanded in 1974 and after it reorganized in 1981. He was also an educator and composer of movie scores. He died in New York City after a long battle with prostate cancer.